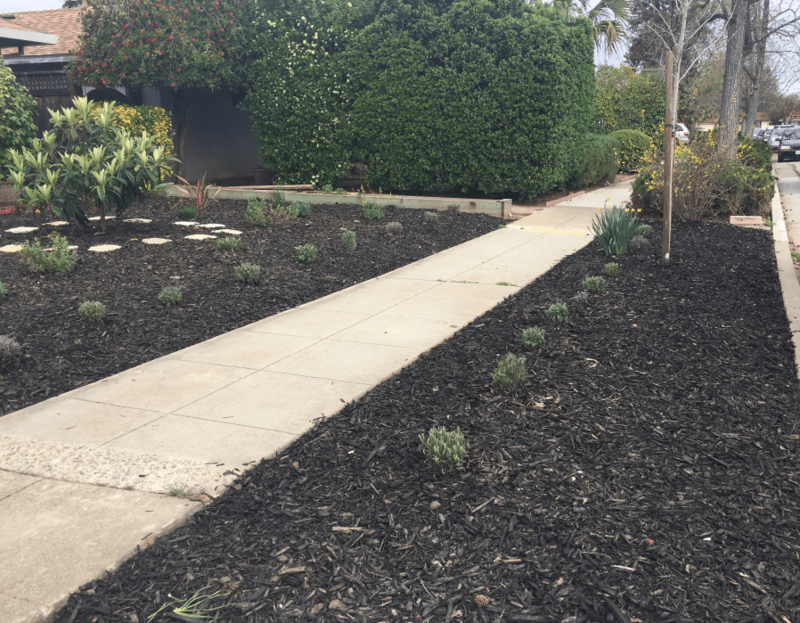 When this garden was transformed from a weedy turf to a water efficient garden, not only would it save water, but a seed of a purple dream was also planted. When the garden was being planned, the idea was to have this dream place with the purple splendor. Lavenders lined two complete sides of the garden, as well as the parking strip. When the garden was finished, everyone was eager to find out: when will the purple walk come into life? Spring 2017 was a season blessed with heavy rains. After the garden was done in early spring, in two months of time, the plants had grown a lot. While the lavenders had not bloomed, rockroses put on their pretty pink flowers, giving the garden that “pop”, just in time when the pink and red blossom from camillas receded. Rockroses are drought tolerant, require only little water once established. Planted in early spring, the blossom broke out after just 2 months. 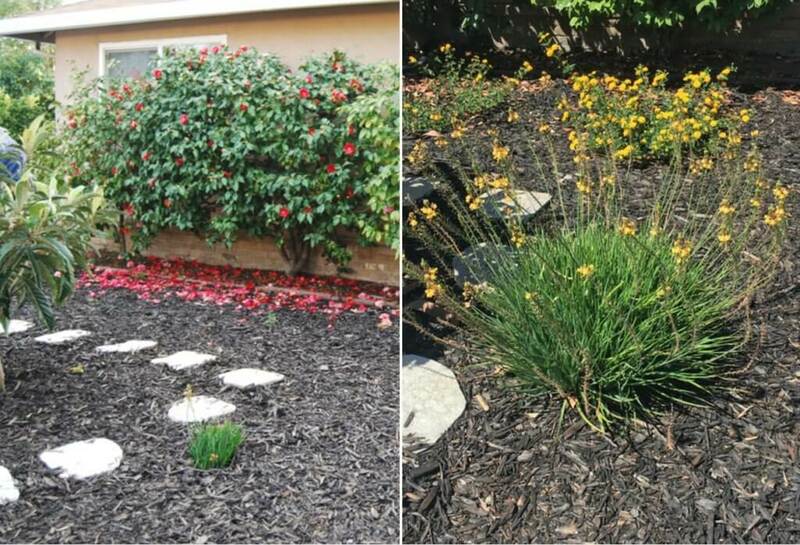 Tough yet pretty, this is a great choice for a water efficient garden. These other plants also grew a lot and bloomed. With waves of heat the summer arrived. How are the lavenders? The purple that everyone have been waiting is here! Most lavenders had their first bloom, just couple months after they were planted. Not a full blown purple walk yet, but very clearly heading there. 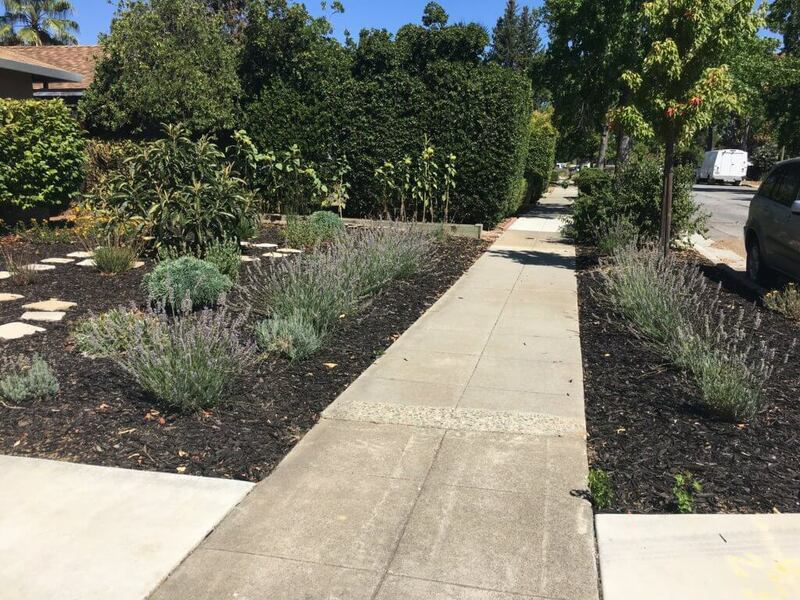 Walking on the sidewalk, you can smell that strong aroma of lavender’s. They remind you of those wildflower meadows out in the country under the blue sky. Meanwhile, you can see dozens of bees flying in the bushes, making the buzz sound everywhere they go. 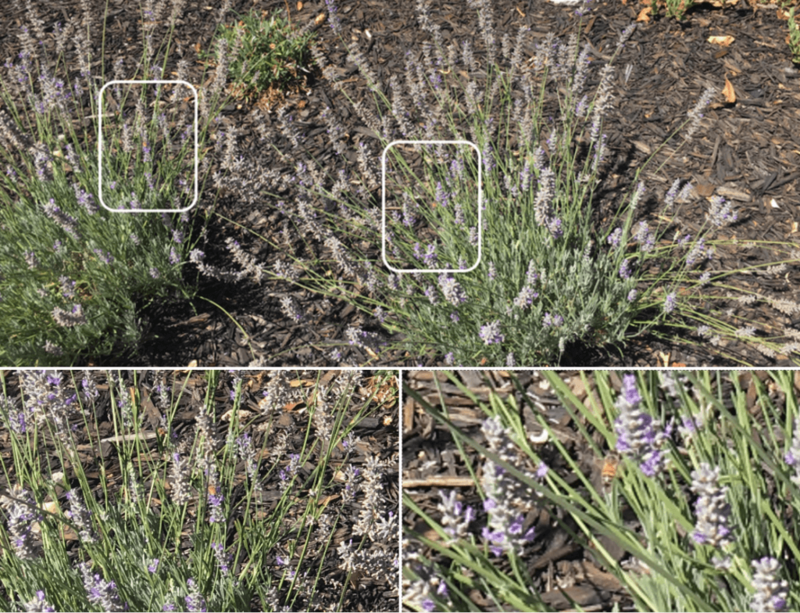 Like many other native and drought tolerant plants, lavender is a bee’s magnet. Bees love to feed on them, better yet, they bloom for a long time, usually from summer to early fall, which means they can provide food to the bees for a rather long period. 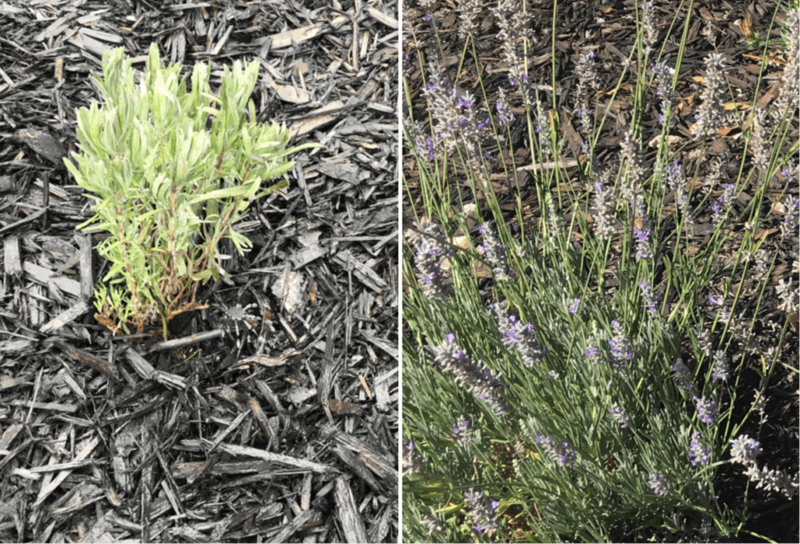 As bees are on on a decline, planting more bee friendly plants like lavender has become more important. 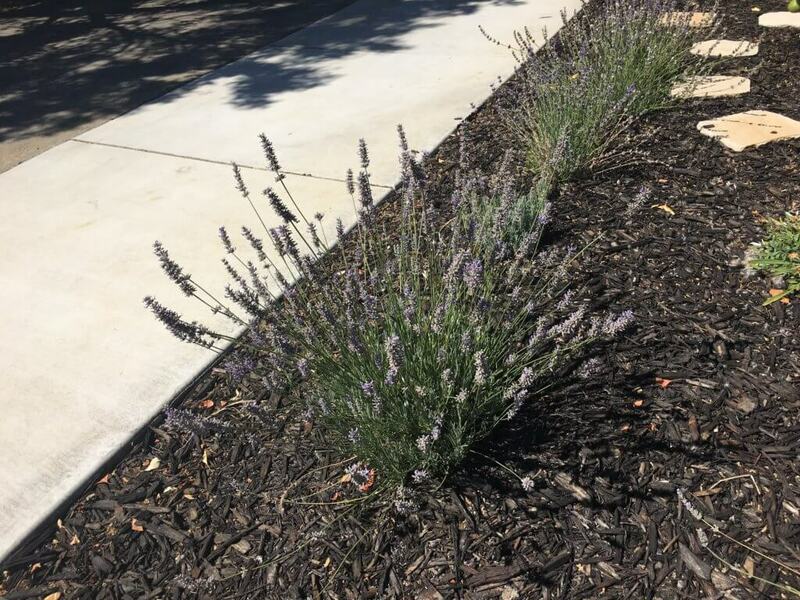 Lavenders are drought tolerant. As a matter of fact, they don’t like to stay in wet soils. 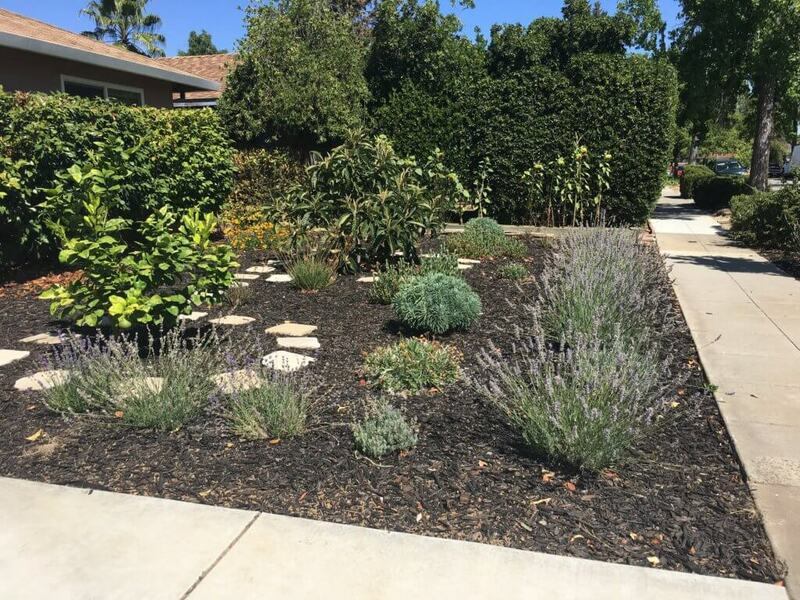 Over-watering is one of the most common reasons that lavenders die. 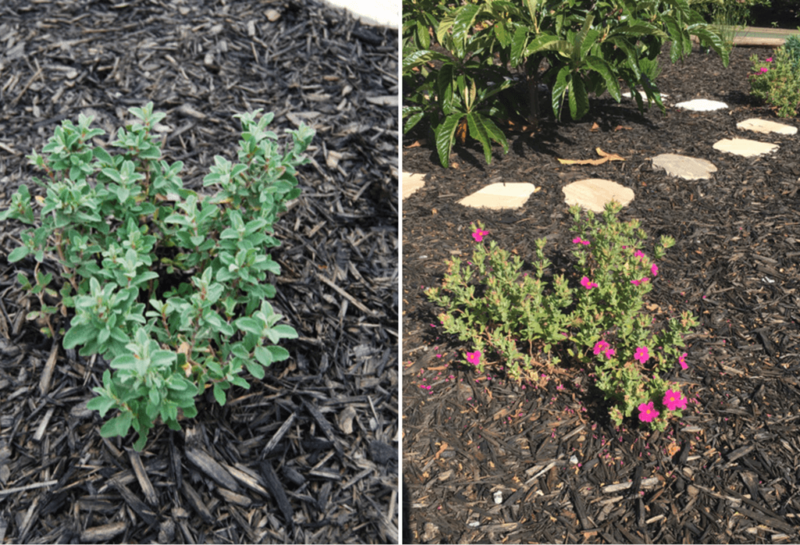 Using drip irrigation, just provide enough water when first planted, then water it occasionally once established – they can grow fast and well. 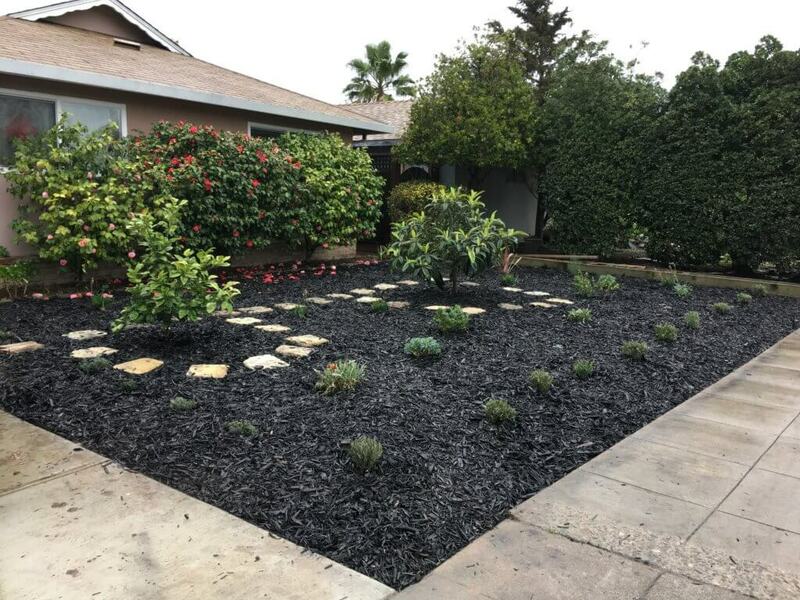 When the garden was built, it was designed to be water efficient: drought tolerant plants, drip irrigation, automatic controller with rain sensor. 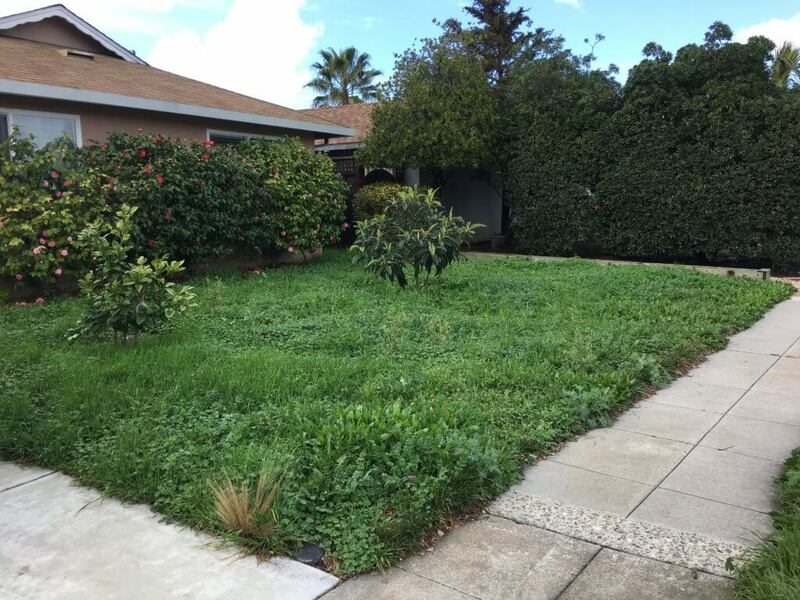 The garden complied with all the requirements of Santa Clara Water District’s Landscape Conversion Rebate program and received the rebate upon finish. In just several months, this garden grew from a collection of small plants into one filled with purple splendor and color. It adds this nice view to the house, realize the “purple dream”, filled the air with the pleasant lavender aroma. Better yet, all these were achieved with much less water than what were required for the lawn before. Although California is no longer in a drought, one big lessen we learned was that water is valuable, and we must cherish and conserve it to the best we can. As Gov. 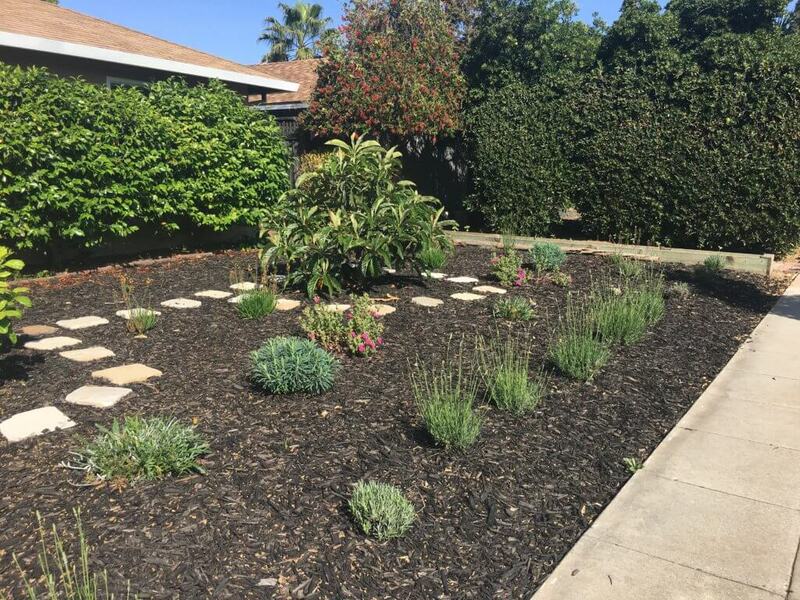 Jerry Brown said, “Water conservation must remain our way of life.” As ourdoor watering typically accounts for half or more of a household’s water use in California, building a water efficient garden can save us a significant amount of water and go a long way towards that goal. Next Next post: Birds At an Aquatic Habitat: What Changes Could You See After Storms?